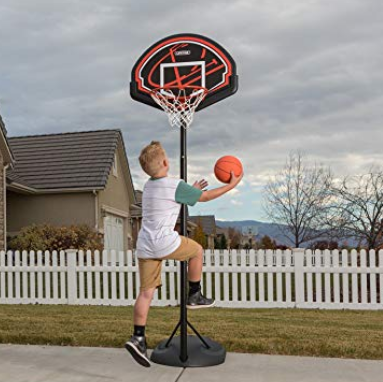 Stop by Amazon to pick up this Lifetime Youth Basketball Hoop for just $49.98! This is regularly $109.98, so you’re saving a sweet 55% on this deal. It features a 32″ youth impact backboard, 15″ folding rim, telescoping height adjustment to move it from 5.5′ to 7.5′ in 6″ increments, and a 10 gallon base to keep it stable. And you may want to take advantage of the Spalding NBA Street Basketball for only $9.99 deal, too!